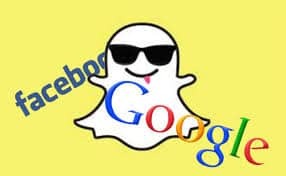 It’s been not more than a week after Snapchat refused the $ 3 billion takeover offer from Facebook, according to the report by The Wall Journal, that it spurned the $ 4 billion buyout offer by Google too, according to a new report. However, according to this report by Valleywag website, founder and CEO of Snapchat, Evan Speigel refused both the annexation offers in order to drive up the valuation further. According to the report, the series of takeover offers to Snapchat started from Cina’s Tencent Holdings who gave Snapchat an offer of $3-4 billion. But then Spiegel refused the offer saying that they are looking for a higher valuation of the company which made Tencent to eventually take their offer back. Then, Spiegel went to Facebook, with an offer to sell Snapchat. He also contacted Google looking for a strategic investment at the same time. However, when he turned down the Facebook’s acquisition offer, Google made higher bid. But then Speigel finally decided to not sell Snapchat to either Facebook or Google. At present, around 350 million photos are sent via Snapchat every day and it is expected that this figure will touch 400 million in next few months and Snapchat will surpass Facebook in the number of photos uploaded each day. This would eventually help Snapchat drive up its value further in the market.